Free download - programs for linux Ares 2.5.0, eMule v0.50a, SopCast 4.2.0, Ares Gold, LimeWire Pirate Edition - WireShare, Internet Download Manager, Windows Live Messenger, Yahoo! 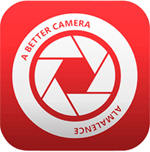 Messenger, Azureus (Vuze - Bittorrent Client), IDPhotoStudio Free download! »» Free download Ares 2.5.0! Ares 2.5.0 ::: one of the most powerful clients of P2P (peer to peer). With Ares you may now easily publish your files through the Ares decentralized network. »» Free download eMule v0.50a! eMule v0.50a ::: a computer program that is used to download free from the Internet movies, music, games and software. The program eMule can download any file: music, movies, documents, etc..
»» Free download SopCast 4.2.0! SopCast 4.2.0 ::: a free program for viewing on Internet TV and listen to the radio. With SopCast you can watch a lot of television programs from around the world without paying anything. »» Free download Ares Gold! Ares Gold ::: completely independent of the classic Ares while sharing virtually all elements of structure, function and interface. Ares Gold s known for the download speed and search as compared to other P2P clients. »» Free download LimeWire Pirate Edition - WireShare! LimeWire Pirate Edition - WireShare ::: a client of P2P file-sharing specialized search mp3 files and videos from the famous Gnutella network. With LimeWire you can also download almost all types of files like: mp3,. Avi,. Jpg,. Tiff, etc..
»» Free download Internet Download Manager! Internet Download Manager ::: a computer program used to manage downloads from the Internet. Internet Download Manager can be downloaded for a free 30-day trial, or be purchased for a one-off payment for continual use. »» Free download Windows Live Messenger! Windows Live Messenger ::: a software used for instant messaging. Windows Live Messenger comes installed with windows xp, but an older version in order to use all options of its current version will need to download this new version, is also free. »» Free download Yahoo! Messenger! Yahoo! Messenger ::: a computer program used for instant messaging. Yahoo! Messenger is a popular advertisement-supported instant messaging client and protocol provided by Yahoo!. 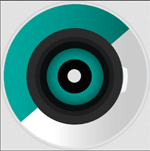 »» Free download Azureus (Vuze - Bittorrent Client)! Azureus (Vuze - Bittorrent Client) ::: a Java-based BitTorrent client, with support for P2P and Tor anonymous communication protocols. The core developers of Azureus have formed a company called Azureus, Inc.Azureus allows users to download multiple files in a single graphical user interface (GUI). Azureus also features detailed statistics and a large number of user-configurable settings. IDPhotoStudio ::: a very good free program to alter photographs, allows the correction of an image, change the size, make a certain number of copies in a page. With IDPhotoStudio installed on your computer and if you have a digital photo camera, dont need to go over to the photographer, you can do in your house all the pictures you want.